SS Monday May 20th after 5pm, OPEN HOUSE Sat 25th and Sun 26th 1-3, offers May 29th, evening. 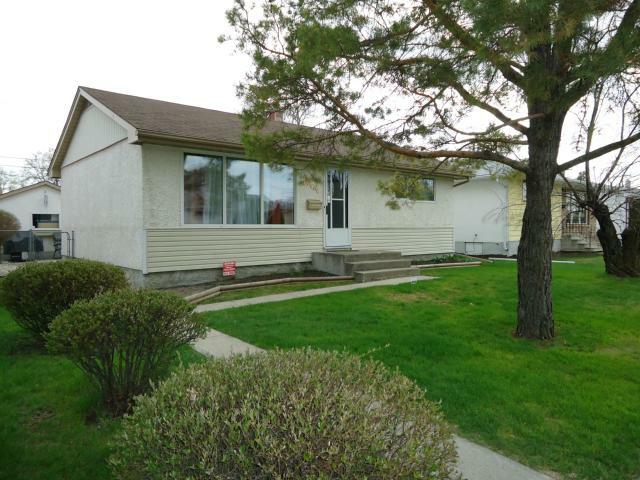 This turn key bungalow is perfect for first timers, young families or retirees. TONS of upgrades and pride of ownership is evident throughout this home. Featuring hardwoods throughout bright and open living room, hall and bedrooms. Large eat in kitchen has some newer cabinets and floors were re-done in 2013. The main floor bathroom is gorgeous and was completely re-done in 2009. Two good sized bedrooms complete the main floor. The basement was completely finished in 2010 as was the downstairs full 3-pc bathroom. Also has a laundry room, storage room, third bedroom and rec room. The fully fenced yard is 50×98 and has a stone patio and lots of room for play and also has an extra parking pad beside the garage. Appliances are included: Fridge and stove 2006, dryer 2008, dishwasher 2013. Other upgrades: Hardwoods upstairs refinished 2006, electrical panel 2008, attic insulation 2010, and freshly painted main rooms.